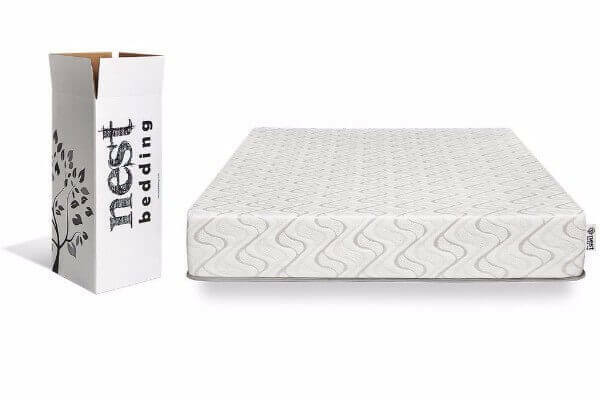 Nest Bedding is a large, online manufacturing company that produces a range of different beds at different price points. Their cheapest mattress is a high-end foam mattress that has proven to be extremely successful with consumers. The mattress goes under the name Love & Sleep and has sold extremely well in the United States. It is provided in two different firmness editions – there is sure to be one that meets your standards if you aren’t sitting on one of the extremes. 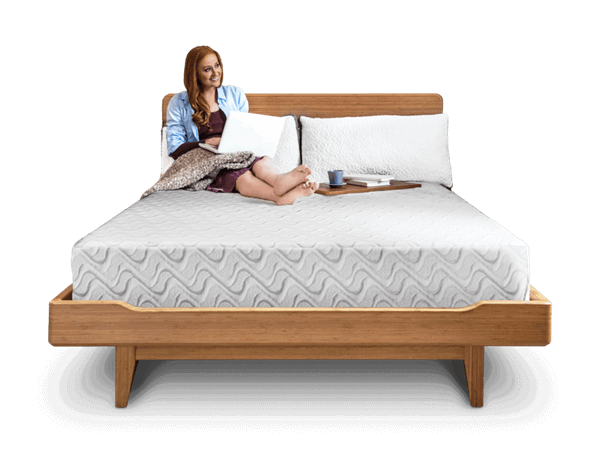 In this review, we will take an in-depth look at the Love & Sleep mattress and all its advantages and disadvantages. We’ve tested the mattress to have a deeper understanding of its characteristics. This review will give you all the tools you need to decide whether or not the Love & Sleep mattress is the perfect mattress for you. Make sure to have a general understanding of your preferences and what you’re looking for in a mattress before beginning this guide. Should I Buy a Love & Sleep Mattress? Nest Bedding has used a three-layer approach to build the Love & Sleep mattress. As it is their cheapest mattress model, it is also one of the most basic. You’ll find that the design of the mattress isn’t complex, but still provides all the advantages of a high-end foam mattress. We will take a deeper look at each layer in the mattress in the section below. Top –This layer is purely about comfort. It’s made from Energex foam which is a hybrid foam that provides both comfort and breathability. Many people compare it to a combination of memory foam and latex. It provides hug and contour, but also a bit of bounce. This layer is 3” thick. Middle –This is the thinnest layer of the mattress, coming in at 1” thick. This layer is made from poly foam, which is a great material to provide a supportive transition from the top to the bottom layer. Bottom — This layer is also poly foam, but is much denser than the middle layer. This is the layer that provides all the support for the rest of the mattress. This layer is 6” thick. In total, the mattress is 10” thick, which is about average for a high-end foam mattress. The cover of a mattress is often the most undervalued component of the construction process. People focus on the mattress without realizing that a cover can completely ruin it. For example, if you have a memory foam mattress with an extremely thick cover, you’ll ruin the feel of the mattress by not having direct contact with it. In addition, you’ll end up retaining much more heat as the mattress will be less breathable. Fortunately, the Love & Sleep mattress has a very breathable cover that ensures the mattress stays cool and comfortable throughout the night. This is especially advantageous if you’re someone who often wakes up in the middle of the night due to heat. The cover is made from ‘phase change’ material which does a great job of dissipating heat throughout the night. The cover is stretchy but durable, it won’t lose its strength overtime – which can sometimes be a problem with covers made from artificial materials. The most important components to consider when deciding on a mattress are comfort and support. These are the two factors that will determine your overall sleeping experience. A mattress can be extremely comfortable, but if it doesn’t have enough support it will still ruin your sleeping experience. In fact, not having enough support can create serious back problems for you. We’ve run a series of tests on the mattress to help determine the support levels it is able to offer sleepers. Remember, there are two different support levels available with the mattress, so results will differ depending on which mattress is tested. After running tests, we have determined that the overall support level of the mattress is about a 6/10. This is a decent support level for anyone who is of a normal weight distribution. You won’t feel too much sinkage, but you also will have some hug and contour around your body. This is a great level for someone who needs support on their mattress, but also wants additional stress relief. The other edition of the mattress is called ‘Luxury Firm’. This mattress is only two layers instead of three, it doesn’t have a transition layer, the top layer goes straight onto the support layer. This mattress is firmer than the one that we have run tests on. It is more appropriate for someone who weighs more. If you feel you need additional support, this is a great additional option available to you through the same mattress provider. In terms of breathability, there’s not much to complain about with this mattress. 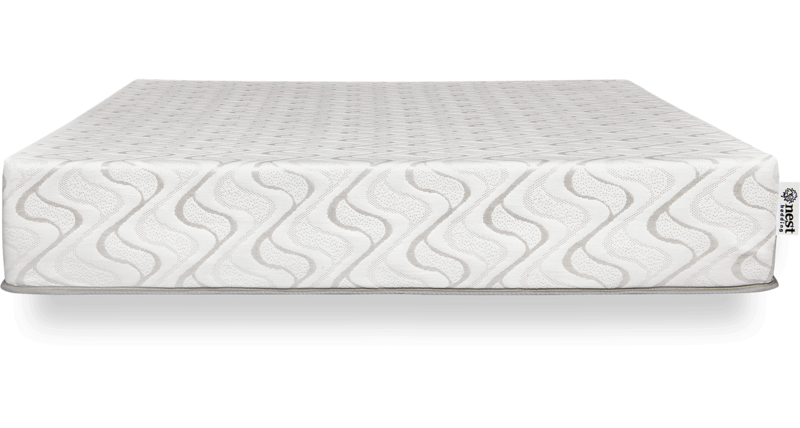 The hybrid foam does an awesome job of ensuring that there isn’t too much heat retention in the mattress. In addition, as previously mentioned, the thin and breathable cover also helps to avoid trapping heat in the mattress. This is one of the best memory foam mattresses available to those who don’t want to deal with traditionally high heat retention problems. One of the other unique things that the Love & Sleep mattress offers its users is split mattresses. If you and your partner have different preferences and you are ordering a king mattress, you can have the mattress split down the middle into two different versions. This is the perfect way to ensure that neither of you have to sacrifice your comfort if you order the mattress. The one downside of the Love & Sleep mattress is that it doesn’t perform well in motion transfer testing. We tried to see how much other areas of the mattress are impacted by motion and there does seem to be some transfer. This means that if you have a restless partner who moves often in the middle of night, it may wake you up. This isn’t to say that the motion transfer is anywhere near as bad as with a traditional coil or spring mattress, but it is definitely not as good as some other high-end foam mattresses. A lot of this seems to be because of the bounce associated with the top layer of the mattress. Because Nest Bedding has a number of different mattress models, they haven’t felt the need to change much over the past few years. The Love & Sleep mattress has stayed relatively the same, aside from the addition of the ‘Luxury Firm’ edition of the mattress. If you feel like you want a slightly different mattress, Nest Bedding does offer other foam models, they’re just more expensive. Keep in mind that this was on the normal mattress. We didn’t test sinkage levels of for the Luxury Firm edition of the mattress, results will vary because of manufacturing differences. Nest Bedding offers a range of different benefits along with the Love & Sleep mattress. Make sure to consider the following things when deciding on whether or not this mattress is right for you. Lifetime Warranty – one of the longest warranties on the market! If you’re looking for a great deal, this is most certainly a mattress that should be near the top of your list. Not only do they offer extremely affordable prices, but they also provide free shipping and a lifetime warranty. 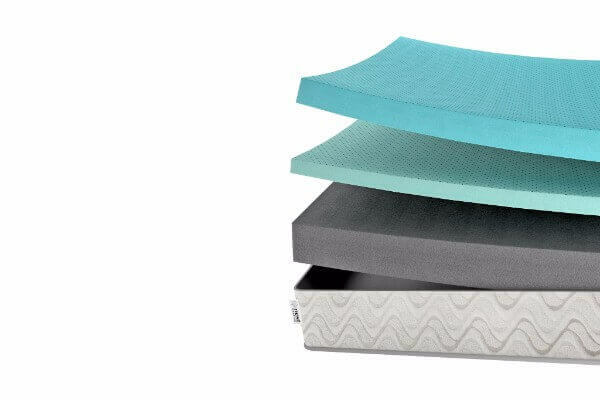 This is one of the easiest ways to get your foot in the door of the foam mattress industry. This mattress provides a decent amount of support, and it also has a good amount of bounce. If you’re someone who likes foam mattresses but needs a bit of bounce as well, this is one of the best mattresses available. They also offer two different comfort settings which you can split down the middle so both you and your partner can be happy with the same mattress. As always, if you don’t think this is the right mattress for you, make sure you check out all the other reviews we have posted on our site.